Create an Italian Art Song. A New Opportunity for Chapman Students! 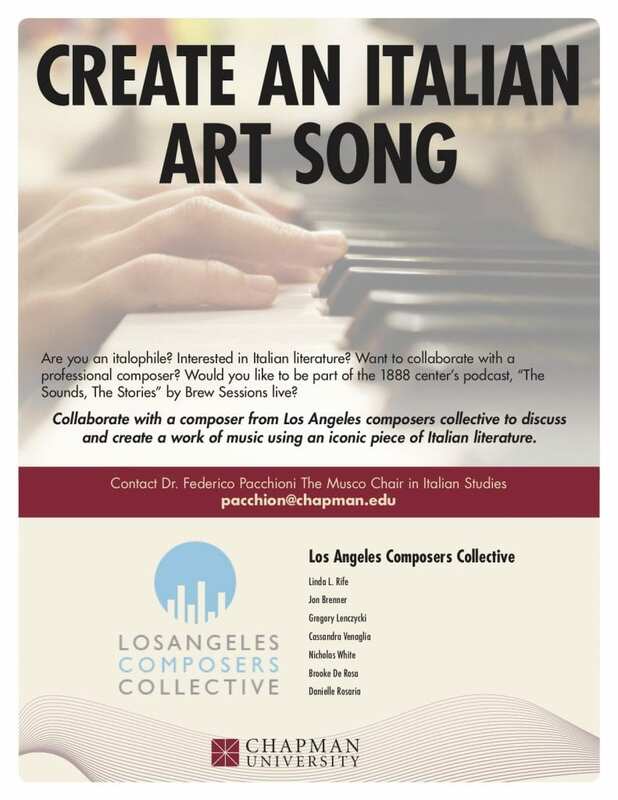 This academic year Chapman University students will have the opportunity to collaborate with a composer from the Los Angeles Composers Collective to discuss and create a work of music using an iconic piece of Italian literature. Compositions will be performed and recorded live as part of 1888 center‘s podcast “The Sounds, The Stories” by Brew Sessions. This entry was posted in Community, Italy Today. Bookmark the permalink.